The Red Claws chip away at a 25-point halftime deficit but fall short for a second straight loss. PORTLAND – Horrible. Pathetic. Poor. Those are a few of the words Coach Austin Ainge used to describe the Maine Red Claws’ first half Friday night in a 105-99 loss to the Fort Wayne Mad Ants. 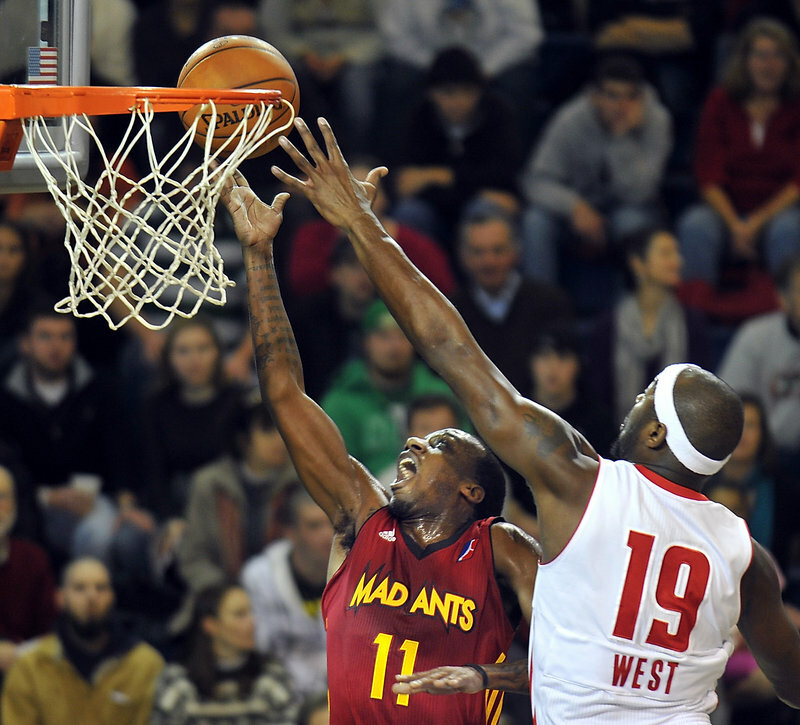 Maine’s furious second-half rally cut Fort Wayne’s lead to five points, but the Mad Ants had opened a 25-point halftime lead, 55-30. They outshot, outrebounded and in general outperformed the Red Claws, who turned the ball over a whopping 19 times in the first two quarters. 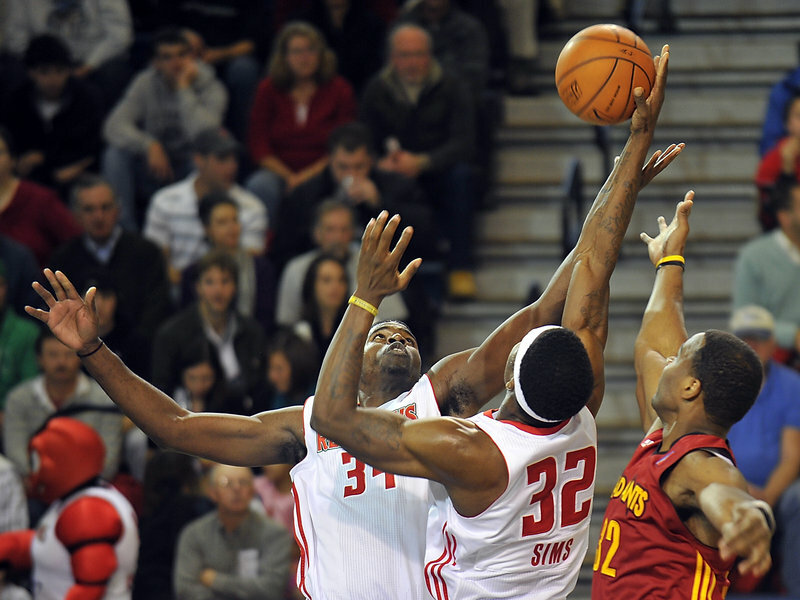 A determined second half by the Red Claws made it a game. They committed just four turnovers in the second half, but their deficit proved too big to overcome. The 25-point lead was cut to 15 by early in the fourth quarter, and a 13-6 run made it an eight-point game with 2:41 to go. Jamar Smith hit back-to-back 3-pointers to make it 96-91 with 49 seconds left, but Maine could get no closer. Maine (2-4) turned weak passes to strong ones in the second half and hit seven 3-pointers after going 1 for 12 in the first half. 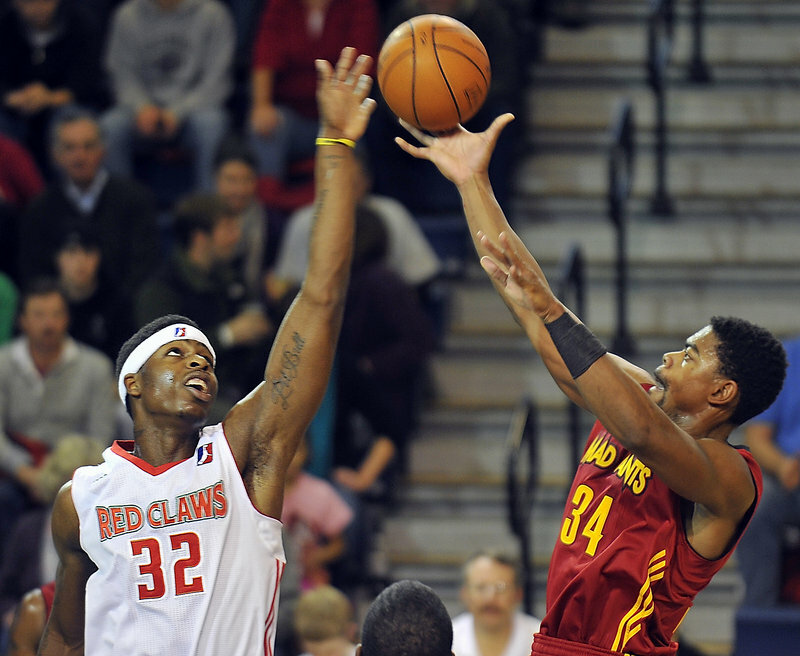 The Red Claws improved their shooting from 32 to 43 percent by game’s end. Fort Wayne hit 43.2 percent from the floor, had 13 team rebounds to Maine’s 11, and had 12 turnovers to Maine’s 23. Roderick Wilmont had a game-high 20 points for Fort Wayne. The Claws return to the Expo on Sunday for a 5 p.m. game against Springfield. NOTES: The Red Claws will be at Skillin’s Greenhouses in Falmouth from 1:30 to 3 p.m. today. Skillin’s will donate $5 to the Bruce Roberts Toy Fund for every tree sold. … West (hamstring) rejoined the lineup Thursday night at Springfield. … Fanhouse.com reported Friday that Antoine Walker, a 12-year NBA veteran and former Boston Celtic, cleared a D-League background check and was placed on waivers. He is expected to join the Idaho Stampede on Tuesday. The Stampede play at Maine on Dec. 16. … Guard Lawrence Westbrook did not play. It was a coach’s decision.